Sacral nerve stimulation (interstim therapy) in children seems to be a promising new therapeutic modality. Implant placement is minimally invasive, non-destructive, and reversible. 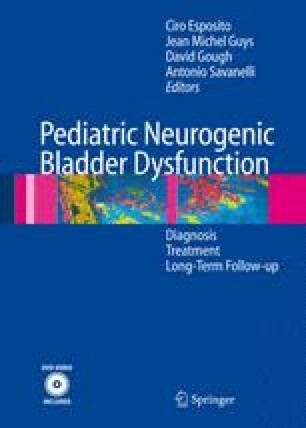 Use in children with neurogenic bladder is only at the beginning stages. Our results are encouraging, but the study population was too small, and the lesions were probably too severe to demonstrate the benefit of this therapy. A French multi-center study, including more patients with less severe lesions, has been under way since April 2005.